Learn about the dangers of sugar and its correlation to the size of tumors. 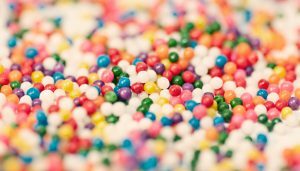 Following nine years of research, molecular biologists in Belgium have found that sugars promote the development of tumors. Their results, published Friday in the journal Nature Communications, help answer a question oncologists have puzzled over for years. Additionally, these studies may offer some new, nutrition-based cancer fighting solutions. How does Sugar promote the Growth of Tumors? sugar “awakens” existing cancer cells, causing them to increase and multiply quickly. Most non-cancerous cells in the body gather their strength from aerobic respiration, a procedure that begins by separating food into usable, energy-filled molecules through a series of chemical processes that requires oxygen, which then separates carbon dioxide as a byproduct. This excludes cancer cells. Even when a plethora of oxygen is accessible to separate glucose and utilize it as fuel, cancer cells would rather feed off of fermenting sugar, which has a produces less energy than the ordinary chemical reactions cells utilize. This is known as the ‘Warburg Effect’. The analysts behind the new study closely monitored yeast cells in the lab, and found that their process of fermentation — a similar one that cancer cells favor — promotes tumor development. Furthermore, their discoveries suggest that the most cancer-causing genes, called Ras proteins, only strengthen tumors when coupled with a high sugar intake. To summarize this process, sugar “awakens” existing cancer cells, causing them to increase and multiply quickly, as indicated by the researchers. “The hyperactive sugar consumption of cancerous cells leads to a vicious cycle of continued stimulation of cancer development and growth” lead researcher and Belgian molecular biologist Johan Thevelein, an educator at Katholieke Universiteit Leuven, wrote in an official statement. Oncologists are coming up with new, tailor-made diets for cancer patients. Scientists believe this breakthrough in the study of how sugar and growth collaborate has “sweeping consequences” for additional studies. 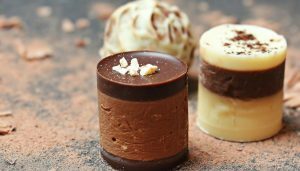 Research in the past has suggested that cancer treatments may have the ability to target the cells’ ‘sweet tooth’ with focused treatments, and these scientists believe their discoveries could enable oncologists to come up with new, tailor-made diets for cancer patients. However, researchers do point out that there’s more work to do, as they do not know what makes the cancer cells act along these lines.